Sky Restaurant 634 is open for lunch and dinner. We went at lunch time which, at 4,500 Yen per person (before the tax and service charge – 10%), happily costs less than half the price of dinner. Had we been more fortunate with the weather, we would have been able to see Mount Fuji from there. Regardless of the cloud cover, the view is amazing. See that little gold blob toward the lower right corner? That’s the Asahi Beer Hall. It looks pretty small from 350 metres up! My partner had read about the restaurant somewhere before our most recent trip to Japan, and he made a reservation while we were still in Australia. This is where the excellent service began. The endlessly helpful staff checked and double-checked my dietary requirements to ensure that when we dined there, everything they made for me, I would be able to eat. As a general rule, Japan is not the easiest place to eat if you have specific dietary requirements. They don’t like to break the rules, and this means that even asking to have something simple changed in a food order can be difficult. There are a lot of types of meat that I don’t eat, but I get by okay in Japan as I do eat fish, and I don’t have any food allergies. I can imagine that for a vegetarian, vegan or someone who can’t eat certain things for health reasons, it could be quite a challenge. For this reason, I was quite surprised – and very pleasantly so – when the staff at Sky Restaurant 634 were so keen to work around my dietary preferences. What style of food does Sky Restaurant 634 serve? They call it “Tokyo cuisine”, which is essentially a French/Japanese fusion, and it’s excellent. 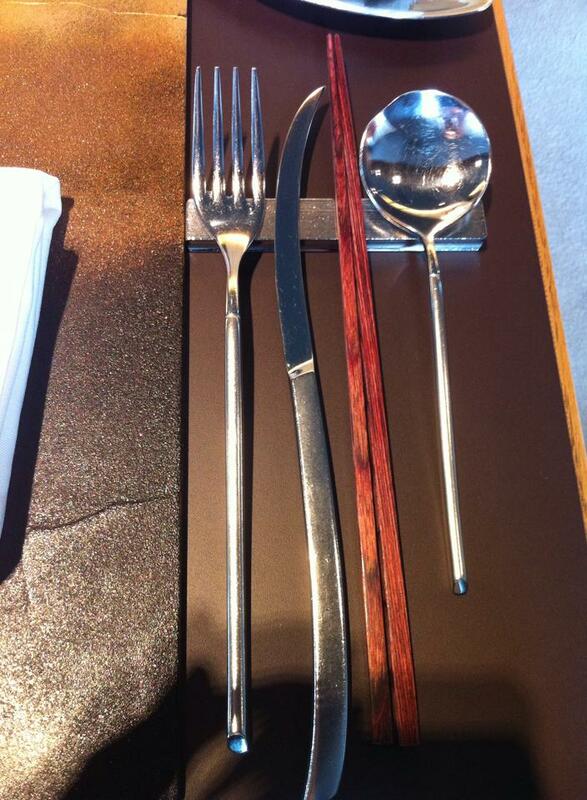 A small assortment of cutlery and … weaponry? First up was a fluffy, foamy creamed corn soup. My partner’s with chicken stock, and mine made especially without. It was delicious. Left to right: Deep fried sticky potato was delicious and a reminded me of the filling of a samosa. Shrimp salad included shrimp, quail egg and chestnut. I can’t remember what the next one was called, but my partner’s was made with foie gras and mine was made without it – it was like a half sweet, half savoury ice-cream sandwich. 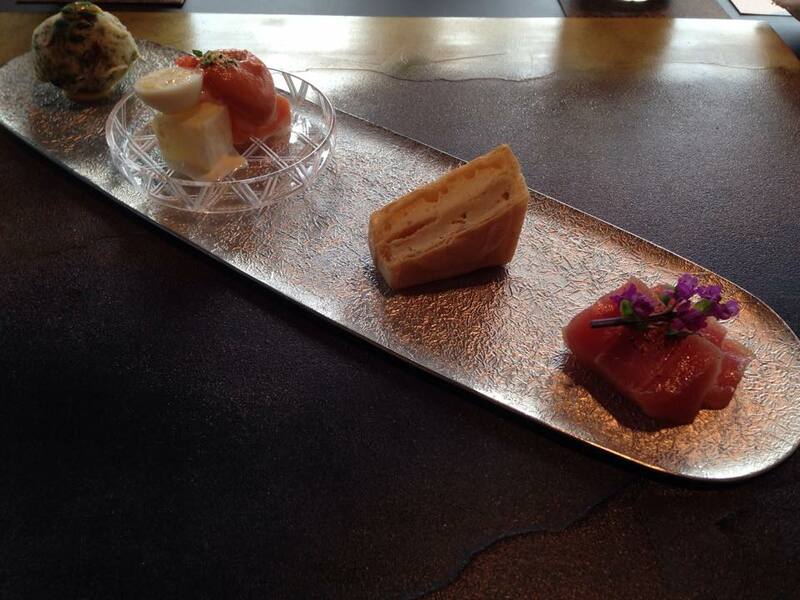 Smoked tuna was the most amazing melt-in-your-mouth smoked sashimi I have ever eaten. 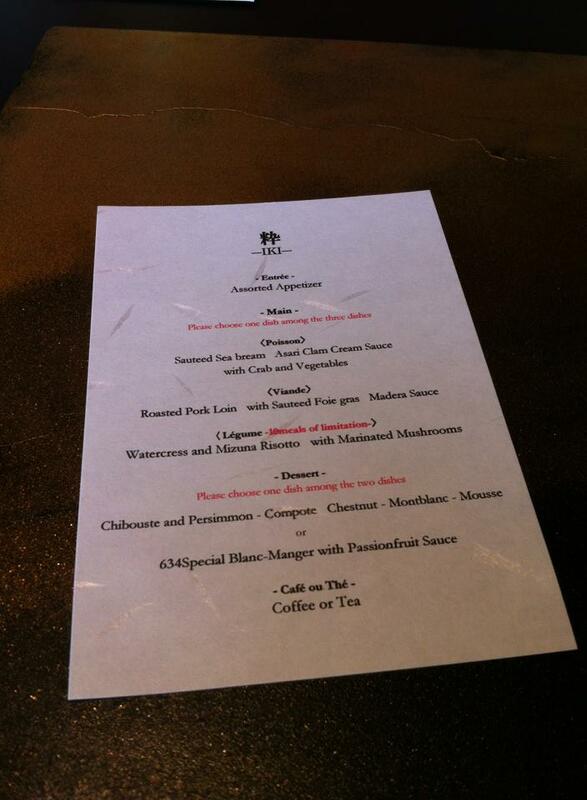 My partner’s main was the roast pork loin with sauteed foie gras and Madeira sauce. He says it was the best pork he has ever eaten. 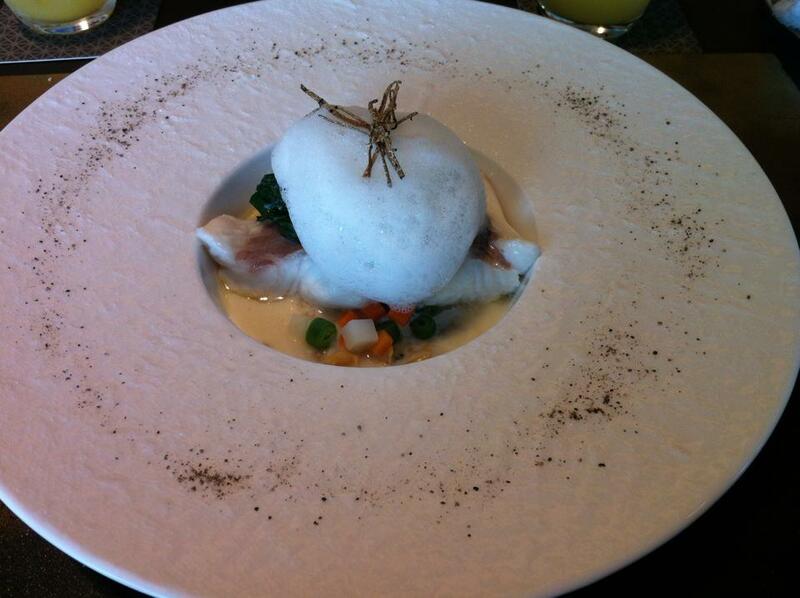 I was equally impressed with my main, the sauteed sea bream with asari clam cream sauce with crab and vegetables. I’m the kind of person who thinks that edible foam is pretty pretentious, but I have to say that the foam on my main was great – it was surprisingly flavoursome. I really wanted to pick up my plate to drink the last few drops of sauce! 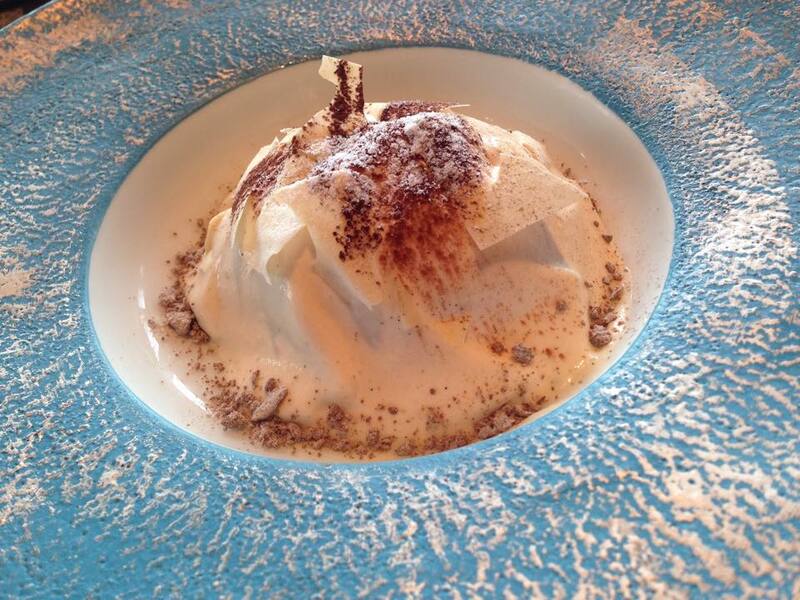 My dessert consisted of more foam – but they know how to make tasty foam here! 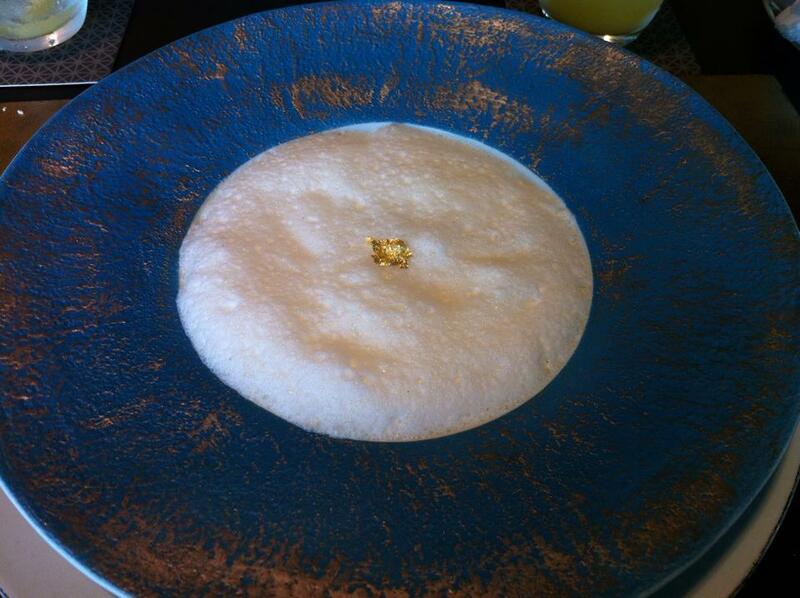 This was the 634 Special – blanc-manger (blancmange) with passionfruit sauce – complete with gold flakes on top. The foam tasted like coconut, and underneath the foam and blancmange were pieces of mango and berries. 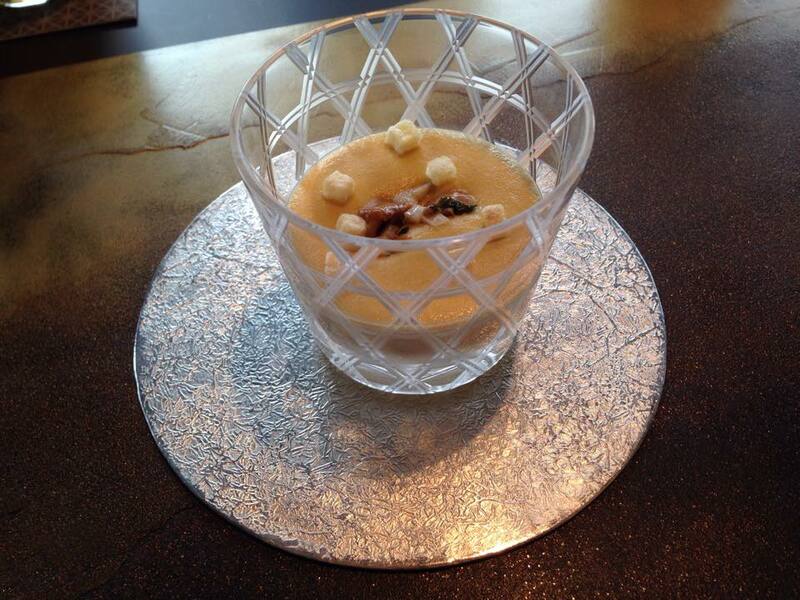 My partner had the other dessert on the menu, the chiboust and persimmon compote with chestnut montblanc mousse. This was also excellent. 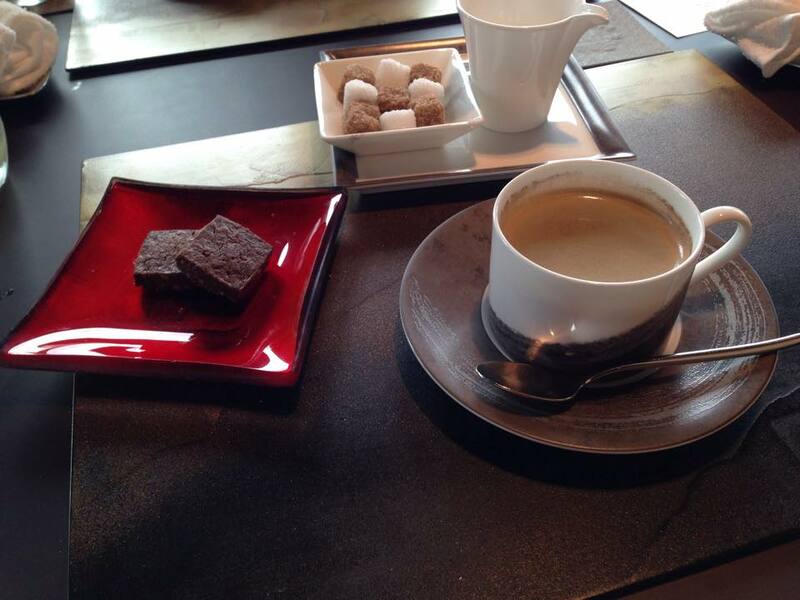 We finished our lunch with tea and coffee, and some little biscuits. I mentioned the great service earlier, but I haven’t finished yet. The staff spoke English, were very attentive, and went to a lot of effort to ensure that my food didn’t contain anything that I don’t eat (eg, chicken and duck). They explained what was in each dish – both mine and my partner’s. 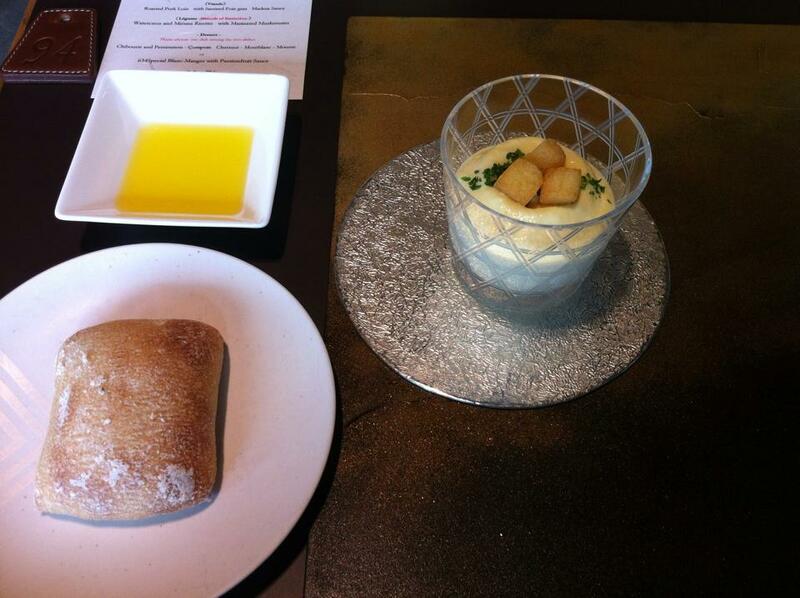 We were offered small, warm bread rolls at the start of the meal and again during the main course. Between the main and dessert, staff even came and carefully brushed the crumbs from the table – most of which were on my side of the table, as I can be a bit of a mess. 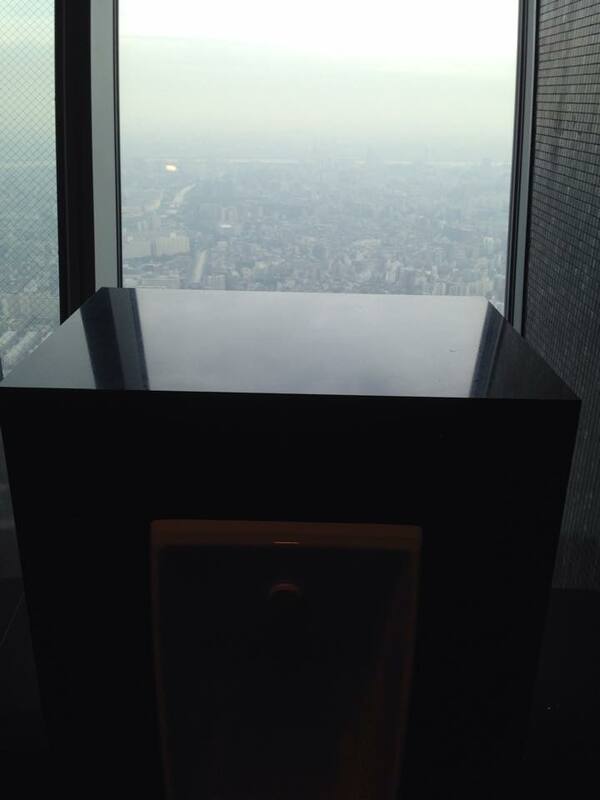 In case you were wondering, there are even views from the restrooms. My partner took this one from the men’s toilets. Would I recommend lunch at Sky Restaurant 634? Put it this way: if I were rating this restaurant, I would probably have to give it six stars out of five. They served some of the best food I have ever eaten. The service was exceptional – the effort that they put into ensuring that the food met my dietary requirements was very impressive. The view was breathtaking. At 4,950 to 6,600 Yen (including tax) per person, it’s not a cheap lunch, but it was great. It was more than we would normally spend, but as a once off we really enjoyed it. The equivalent meal at dinner time costs 13,200 to 16,500 Yen (including tax) per person, so this puts it into perspective. Note: Whilst children are welcome at lunch time (and they have a children’s menu for 2,750 Yen including tax), they do not allow children under secondary school age (12 years) at dinner time. On another part of the website, it also says that they don’t allow children under 6 at lunch time, so if you’re thinking of bringing children, you might want to clarify this. 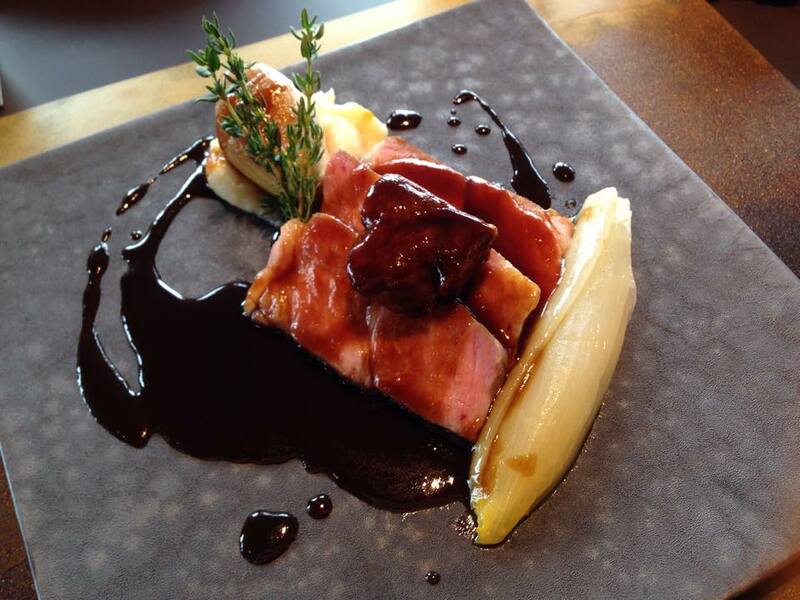 How to make a reservation for Sky Restaurant 634 (Musashi): Reservations are essential, and can be made online. They may also take reservations by phone (if you are fluent in Japanese) or at the restaurant reception desk on Level 4 of Tokyo Skytree. However, as is a luxury restaurant and reservations open a month ahead, I would recommend booking online earlier rather than later. Make sure that you read the section on reservations on this page before you fill out the reservation form, as you will need to provide particular information. 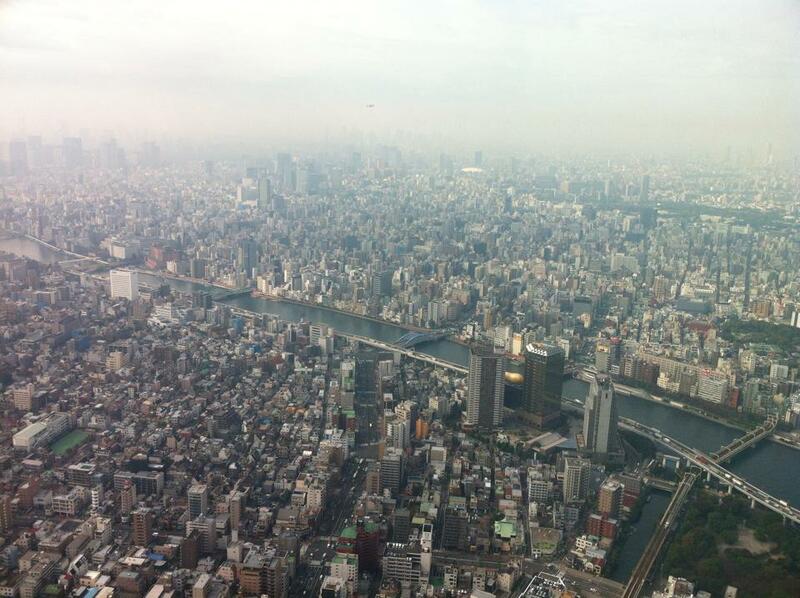 In order to get to the restaurant, you need to access the Tokyo Skytree Tembo Deck – that’s the viewing deck at 350 metres. You can arrange your tickets when you reserve a table at the restaurant in order to avoid queuing to get the tickets to access the viewing deck. Note that tickets to the viewing deck are not part of the cost of the meal. This will bump up the cost of lunch by 2,060 Yen to 2,570 Yen per adult, and up to 2,060 Yen per child (see table of charges on the Tokyo Skytree website for more information – my estimates are as per the Tokyo Skytree website at the time of writing and ticket prices could change). You will also be asked to arrive a lot earlier than your reservation time. If you’re packing a lot into your itinerary, this is something you’ll need to be prepared for. 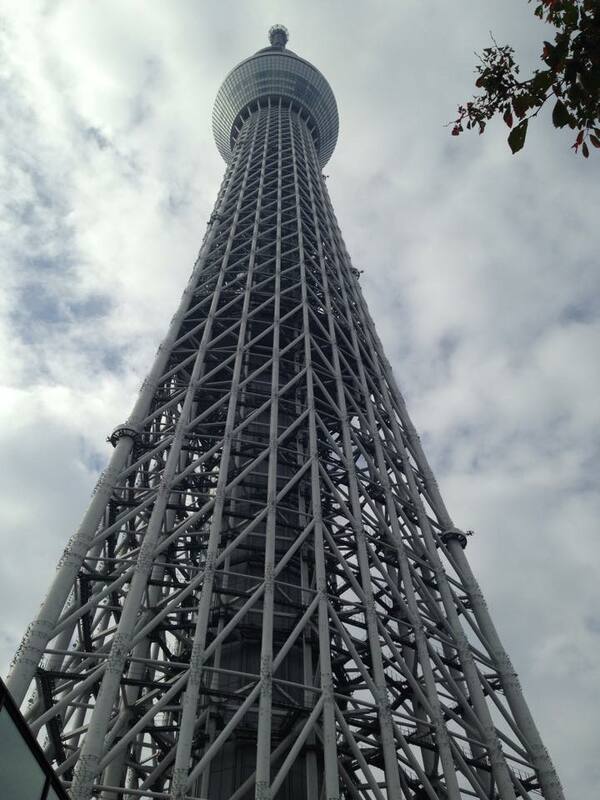 This will allow you time to collect your tickets to the Tokyo Skytree Tembo Deck, to take in the view, and to ensure that you are not late for your reservation. We found that the required arrival time was much too early, but this was the rule, and rules are big in Japan. As good as the view is, being stuck in an enclosed space 350 metres above ground with so many other tourists for that amount of time is, well, a little torturous (I know, I know, I’m a tourist too, but that doesn’t mean that I have to enjoy these experiences!). It was a real relief when we were finally able to enter the peace and quiet of the restaurant! If you can tolerate an hour with a few hundred obnoxious tourists fighting for the opportunity to take the best holiday snaps, you’ll be fine. 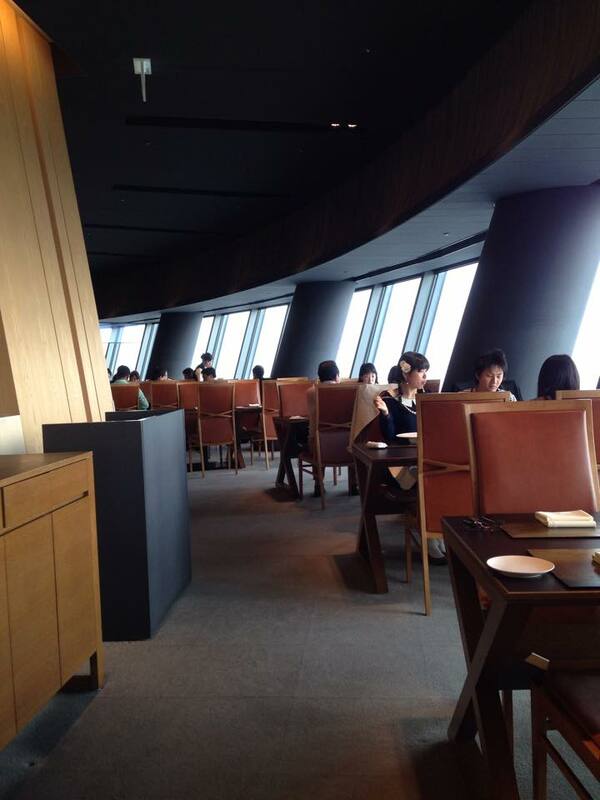 All in all, I can’t speak highly enough of the food and the service of Sky Restaurant 634 (Musashi). It’s not cheap but as far as fine dining goes, the lunchtime menus are a great way to experience a luxury meal without the usual price tag, and it’s not everyday that you get to dine with such a spectacular view, 345 metres above ground.